Hiroaki Tonooka, deputy president of Meiji Yasuda Life Insurance Co.
News came Thursday that Japan's Meiji Yasuda Life Insurance Co. has purchased Oregon financial services giant StanCorp Financial Group Inc. for $5 billion. StanCorp, which was founded in Portland in 1906 and encompasses a diverse range of businesses including The Standard insurance, counted 2,803 total employees and $2.77 billion in revenue in 2014. 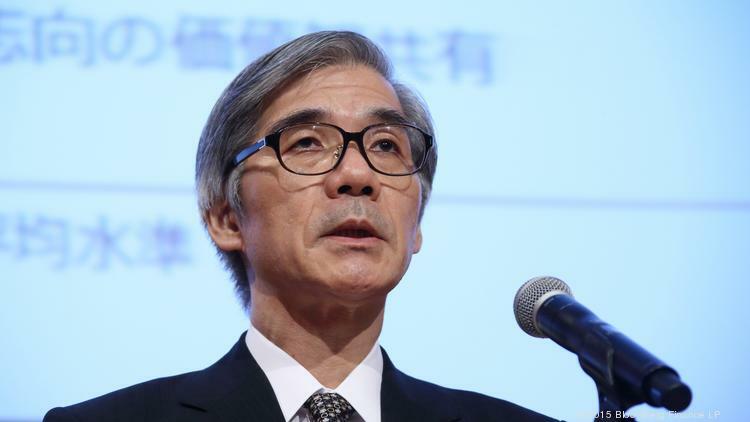 More surprising than the $5 billion price tag may be the premium per share that Meiji Yasuda offered in the deal: a hefty 49.9 percent on top of its one-month weighted-average share price. While StanCorp officials say they weren't looking for a sale, the offer proved too good to pass up for shareholders. Shrinking customer base : Japanese insurers have had a rough go of late. The country's aging population is increasingly expensive to insure, and the country's shrinking population means less future customers to offset payouts. According to Bloomberg, a Business Journal news partner, Japanese insurers have already made two other acquisitions north of $5 billion this year to extend outside of the country. Growth potential: StanCorp has been on a nice, albeit, short run of success. Stock was up 10 percent on the year prior to the acquisition, a number more impressive when you consider Bloomberg's life insurance industry index is down over a point in the same period. StanCorp also racked up $64.3 million in net income in the second quarter , a 58 percent rise over 2014.